On the way to Thuan An beach is a water park and resort that has been built around a natural cold spring -- the water park includes several hot springs, including a ’massage’ pool with numerous shooting jets of water. It’s a great place to take the kids, and the hot springs are quite popular during the winter months. 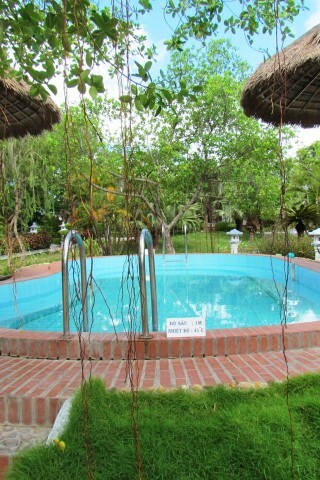 You can stay overnight at Thanh Tan Hotel and Villas. If you stay in one of the villas you can take a bath in-room in water from one of the hot springs. Hotel rooms are 300,000 VND a night, villas are 500,000. The accommodation is decent but nothing special. To get there, depart from Vy Da Ward on the south bank of the Huong River, taking Pham Van Dong Road north until it tees and bear left and follow the signs for Thuan An beach. The springs are about eight kilometres down to the left.